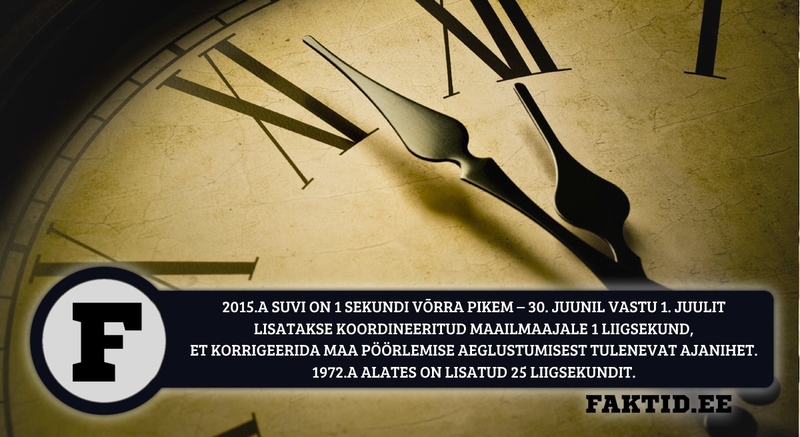 2015.A SUVI ON 1 SEKUNDI VÕRRA PIKEM – 30. JUUNIL VASTU 1. JUULIT LISATAKSE KOORDINEERITUD MAAILMAAJALE 1 LIIGSEKUND, ET KORRIGEERIDA MAA PÖÖRLEMISE AEGLUSTUMISEST TULENEVAT AJANIHET. 1972.A ALATES ON LISATUD 25 LIIGSEKUNDIT.